Bhubaneswar: National Aluminum Company (Nalco) will soon declare a new policy for MSME sector. “We plan to provide our aluminium to MSME units for production of finished goods. Nalco will sign a 30 years long supply agreement with these companies. In next 15 days or in a month, Nalco will announce a special policy in this regard,” said Nalco CMD Tapan Kumar Chand. He said all the modalities for the preparation of the policy have already been completed. MSME will get a huge benefit out of this policy, he added. Attending the valedictory ceremony of Odisha MSME Meet 2018 organised by Odisha Assembly of Small and Medium Scale Industries (OASME) at IDCOL Auditorium here, Chand said Nalco wants to produce young entrepreneurs in Odisha. “To make this possible, Nalco already discussed with the representative of Airbus and Boeing for production of high-end aluminium products. 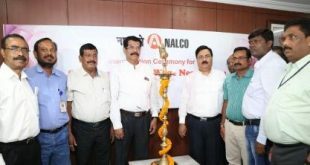 Global technology major Almex will provide the necessary technology to Nalco. Nalco requested to these world-class companies to take 1-2 Odia entrepreneurs as the partner. This proposal accepted by them,” Chand added. He further said that huge response is coming for the proposed Aluminum Park at Angul for setting up ancillary and downstream industries. 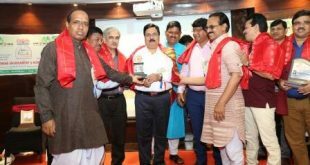 Nalco also plans to enhance its production capacity by setting up a new smelter plant and also a Greenfield project at Kamakhyanagar block of Dhenkanal district. 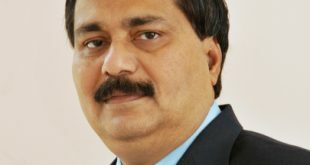 These two new projects will be helpful to Nalco to meet demands from both existing as well as new customers, said Chand. Now, Nalco is purchasing goods value of Rs 400 crore from MSME. After two proposed new unit starts production, Nalco will purchase around Rs 1200 crore worth of goods from MSME. Pranabjyoti Nath, Director, Industries, Odisha said entrepreneurs should have more serious when they prepare a proposal and they have to give more focus on competition and protection.